It has emerged that John Terry's mansion was robbed of an “eye watering” £400,000 worth of jewellery and designer goods while he was on holiday. 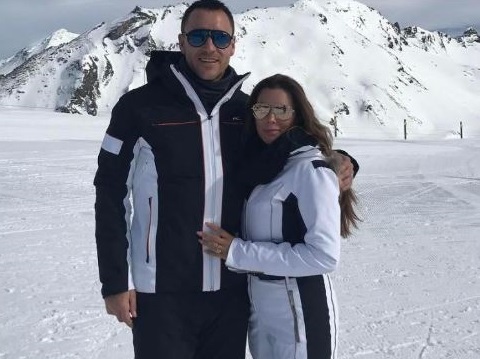 The former England and Chelsea captain’s £5 million mansion was broken into in February as he posed for pictures with his wife Toni, 35, and his two children, revealing to his Instagram followers that he was having a “great few days away skiing with the family”. 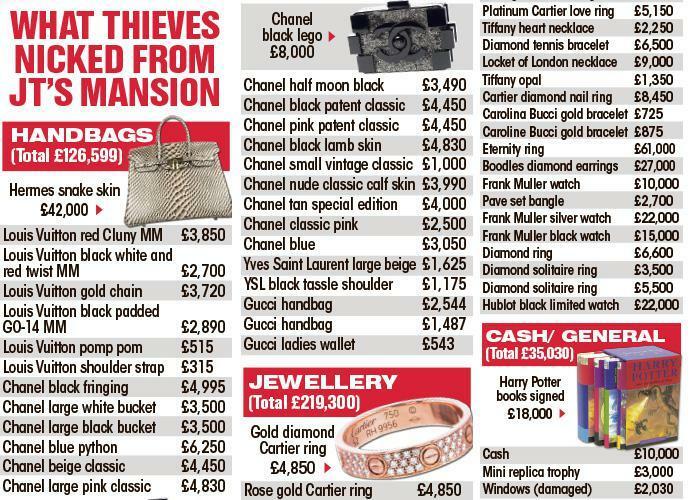 A gang of burglars took the advantage of his family holiday and broke into his property in Oxshott, Surrey, with axes and spent hours helping themselves to designer handbags worth £126,000 and rare signed first edition Harry Potter books valued at £18,000, according to reports. CCTV captured the thieves using a ladder to get into the Terrys’ master bedroom. 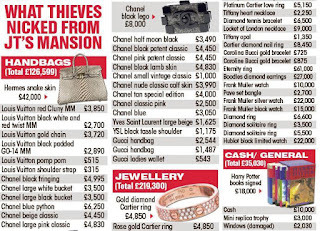 It was claimed that the thieves found so many handbags they were unable to carry them all, taking 28 of the most valuable items including a £42,000 snakeskin Hermes bag, Chanel bags worth £8,000 and others from Gucci, Louis Vuitton and Yves Saint Laurent. The gang of five Darren Eastaugh, 30, Joshua Sumer, 27, Roy Head, 28, and 25-year-old Oliver Hart were subsequently arrested by police cops, who tracked them by using mobile phone records after they were seen at a nearby fuel station. During a previous court appearance, they pleaded guilty to one count of conspiracy to commit burglary between February 1 and March 27 this year involving seven burglaries across Surrey and Sussex. The fifth man Kye Hardy-King, 25, pleaded guilty to one count of handling stolen goods when some of the stolen property was found at his home. Rossano Scamardella, a prosecuting officer, said: ''Mr. Terry made the mistake of posting a photograph of himself and his family on the social media platform, Instagram. "Revealing as it must have done to anyone who saw it, that their house was empty." According to Police report, none of the items taken during the Terry raid have ever been recovered. The five men admitted conspiracy to commit burglary and are expected to be sentenced later today at the Kingston Crown Court.